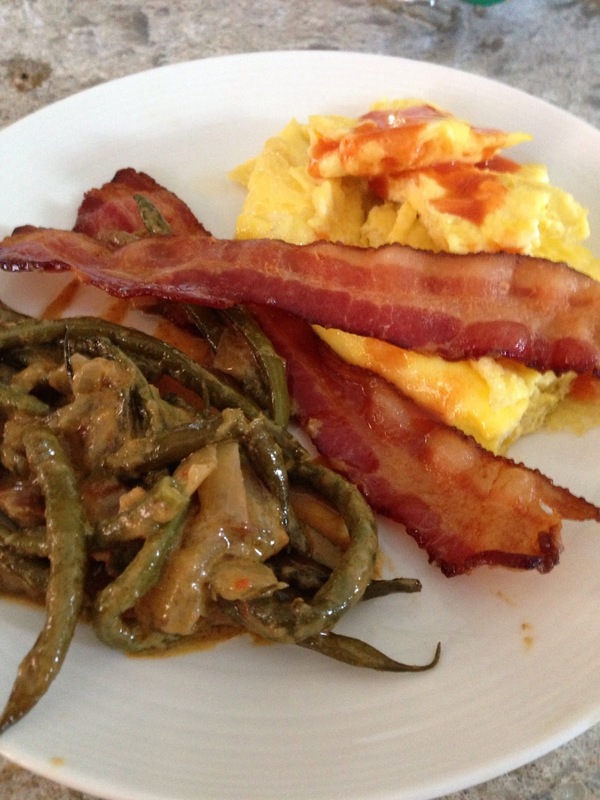 When I first discovered the Whole30 and Whole9 I searched everywhere for blogs that chronicled their entire Whole30, so I really thought it would be helpful if I were to chronicle my Whole30 every day. Breakfast was some scrambled eggs, bacon and some leftover coconut almond green beans from Well Fed And a cup of black coffee, of course. Next up for lunch were some paleo salmon cakes, mixed greens, cucumbers and tomatoes. The salmon cakes were quite easy to make; canned salmon mixed with some sweet potatoes, dill, coconut flour and eggs to bind everything today. 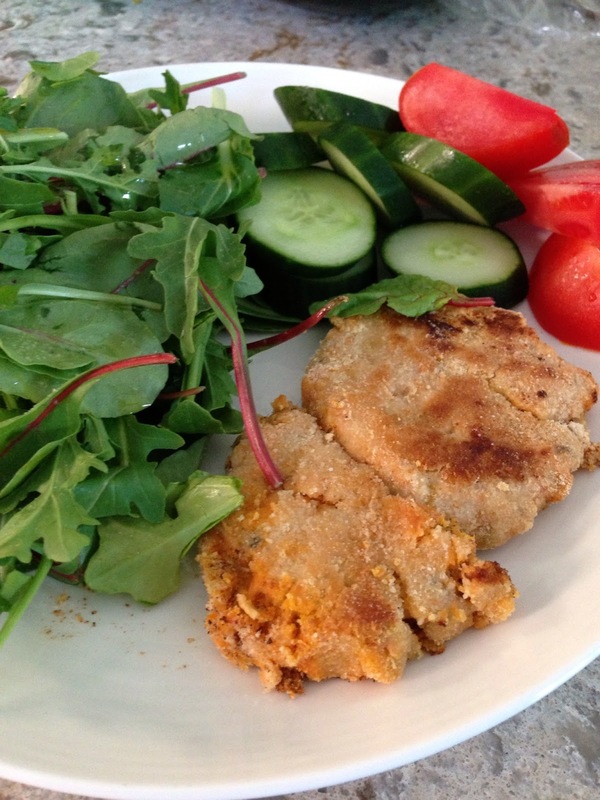 You can easily make paleo or whole30 compliant fish cakes using different kinds of fish. I've done these with tuna before and they were quite tasty. 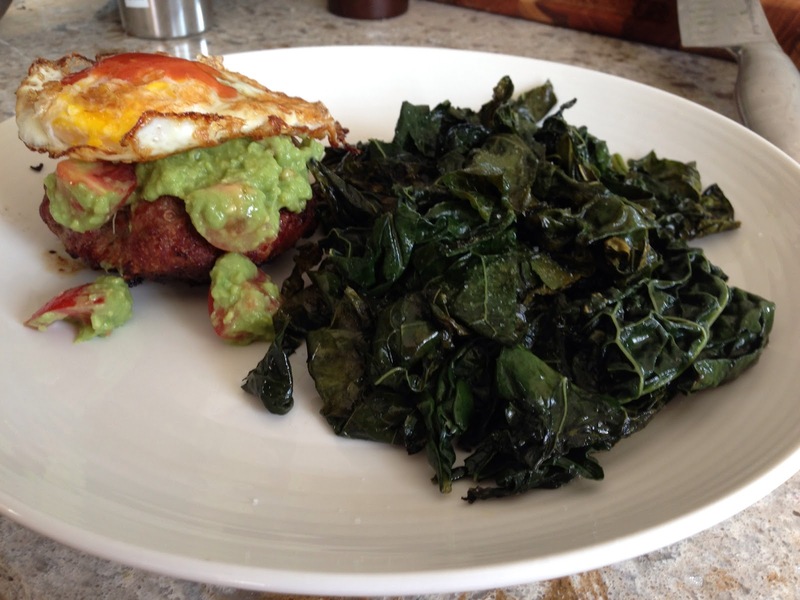 And for dinner black kale and a grass fed burger topped with guacamole, a fried egg and hot sauce.